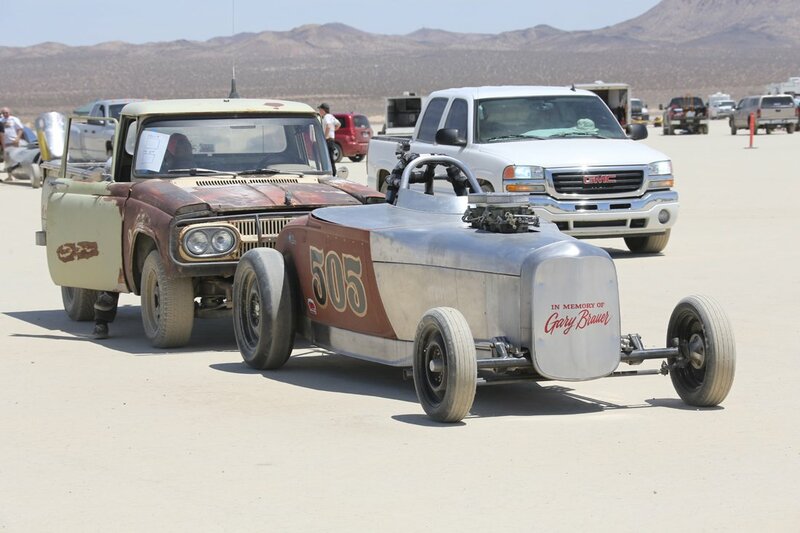 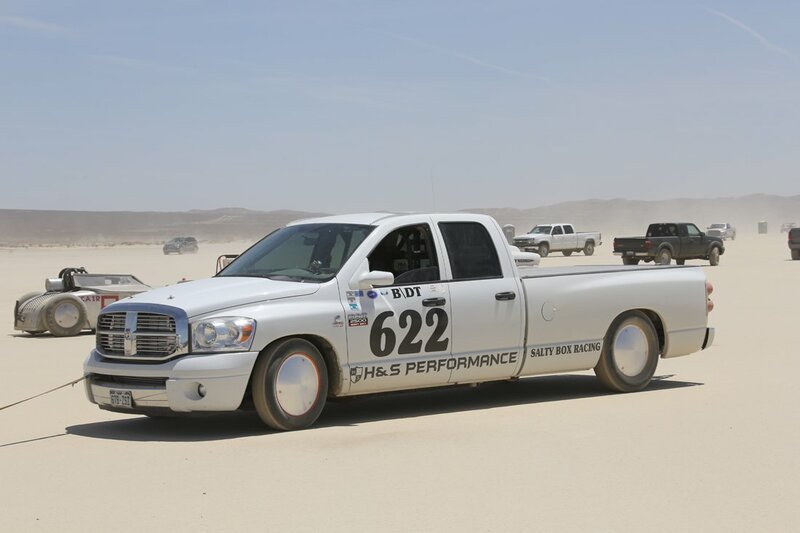 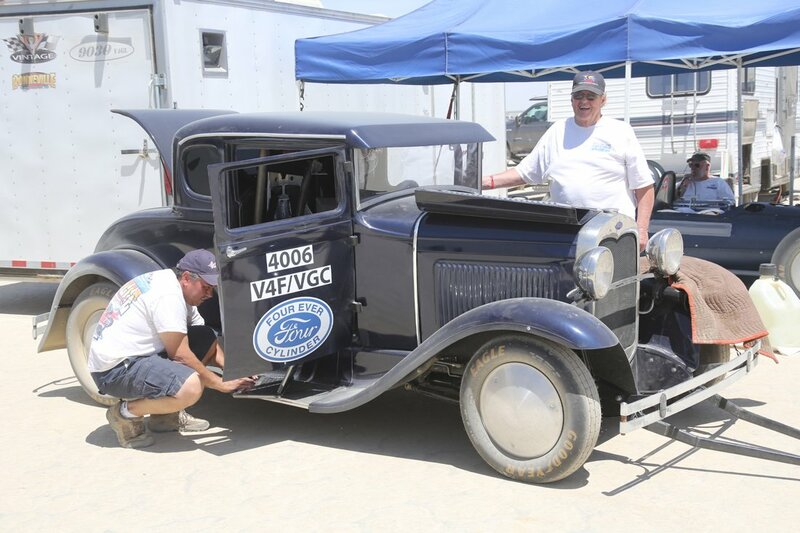 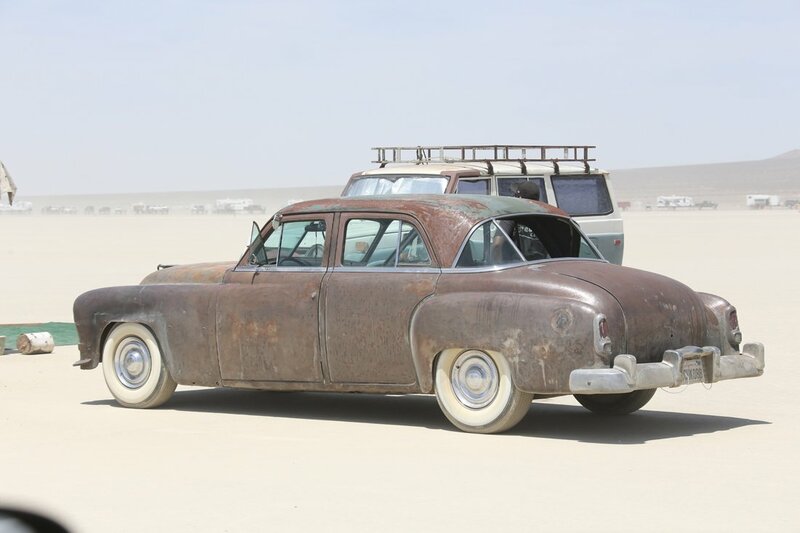 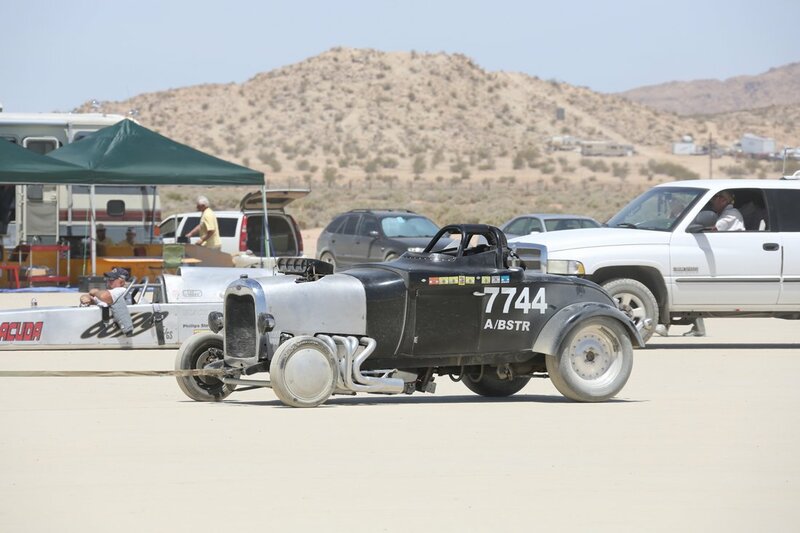 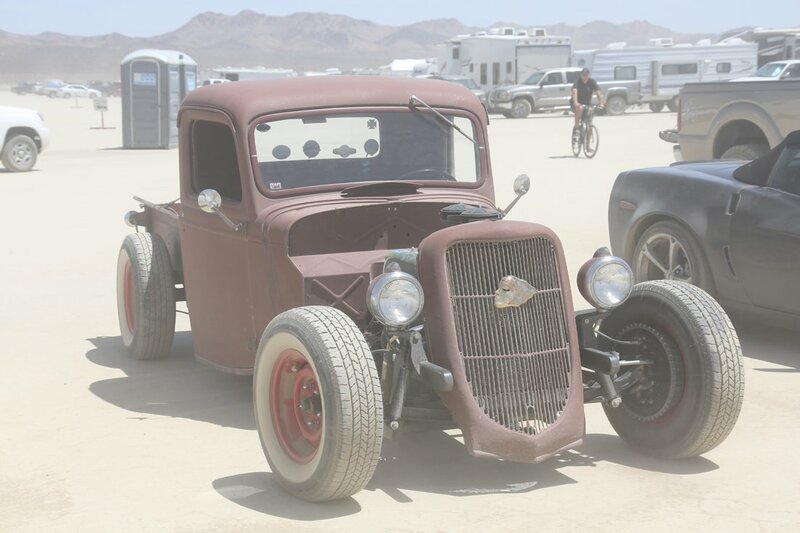 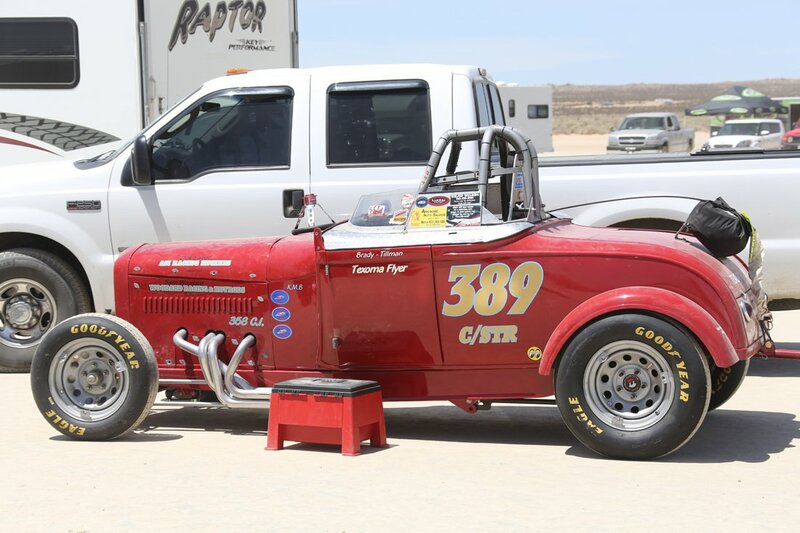 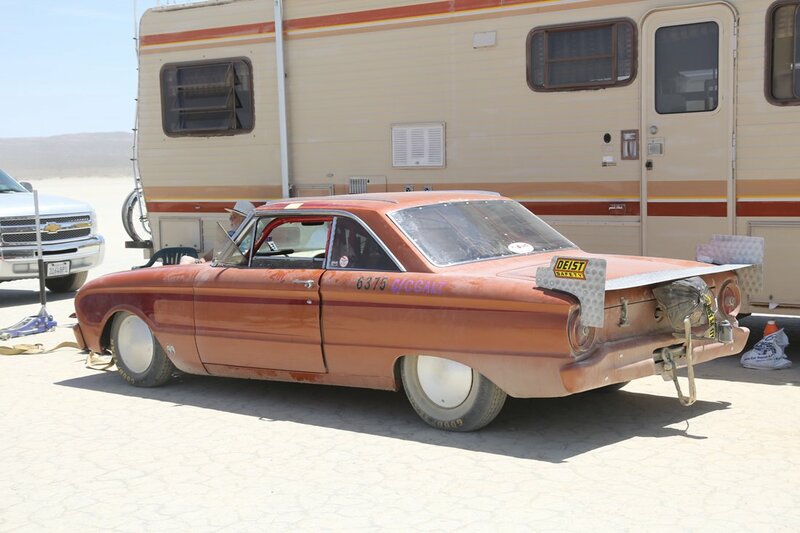 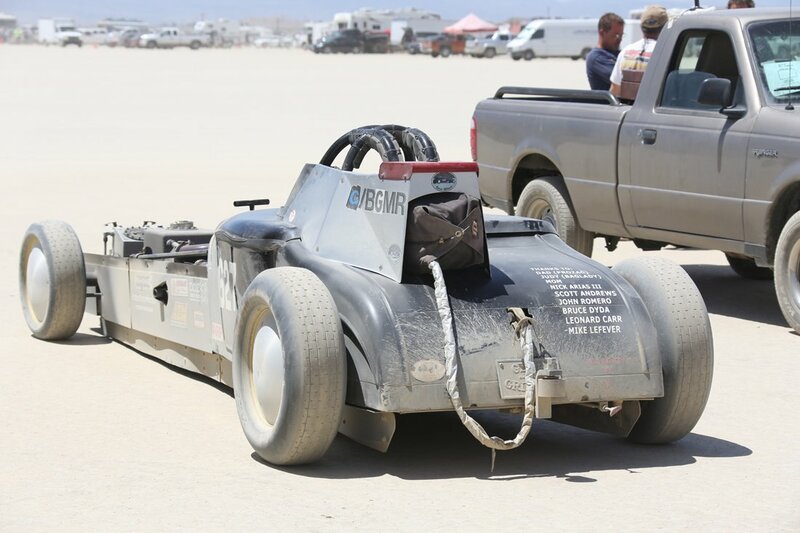 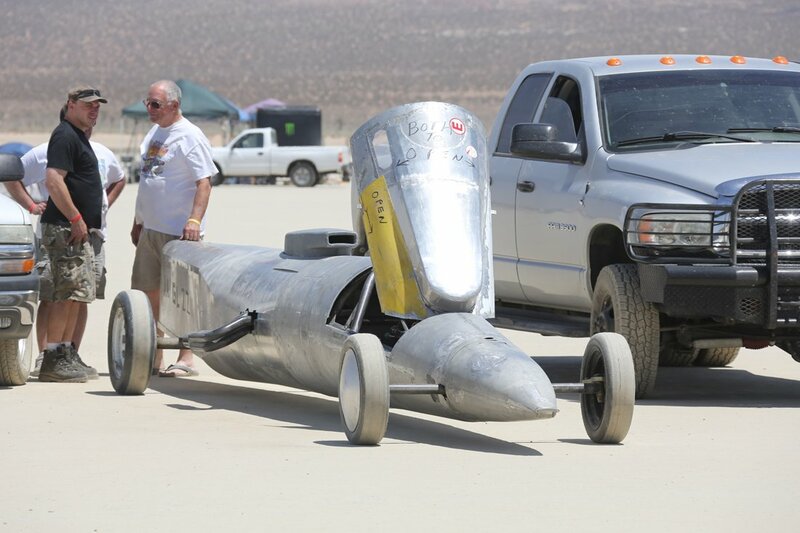 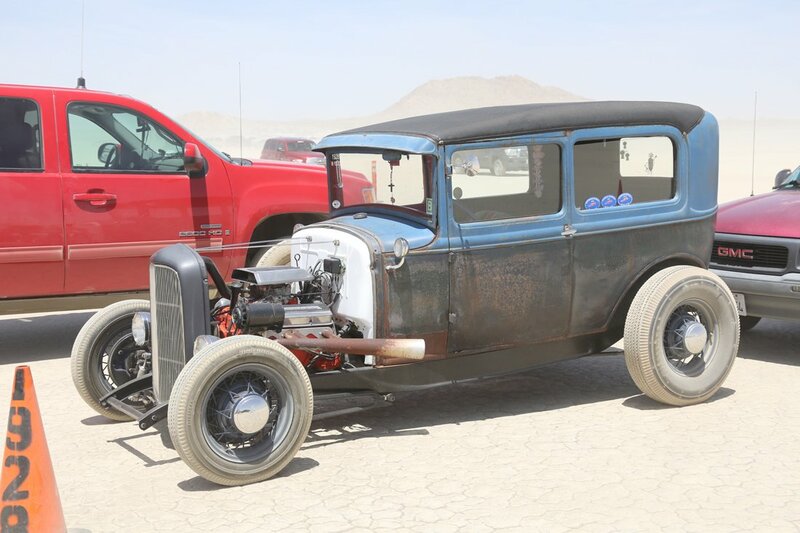 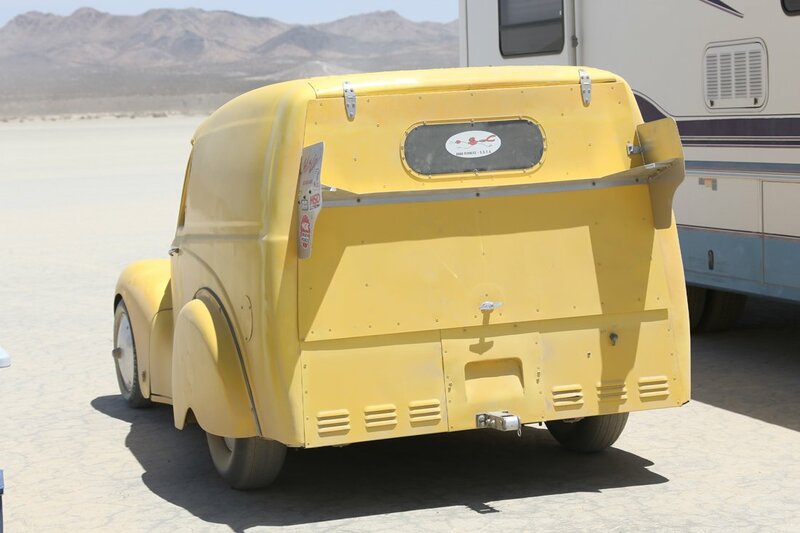 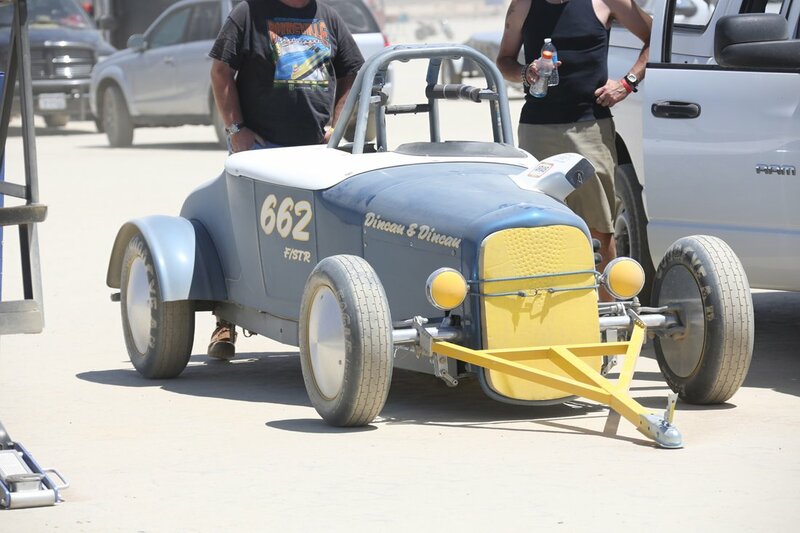 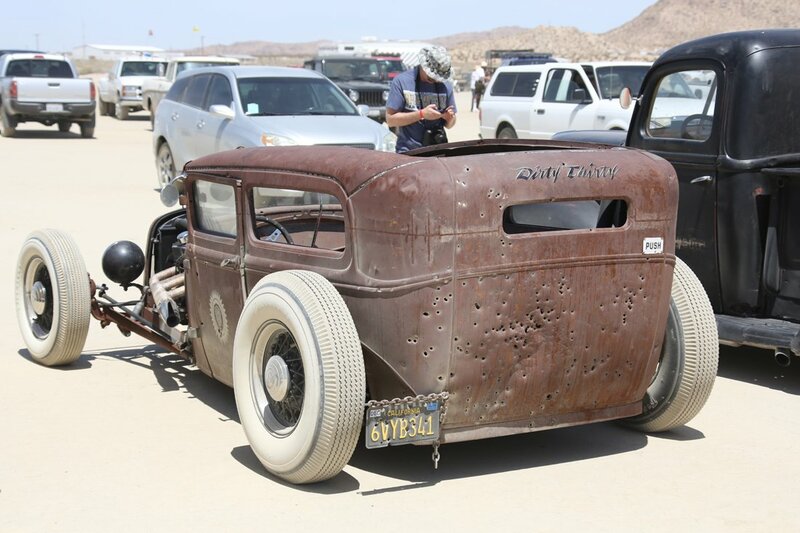 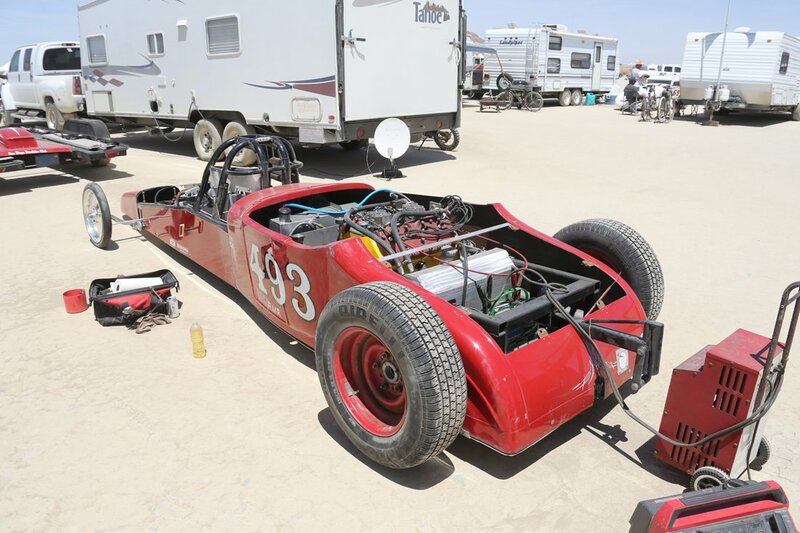 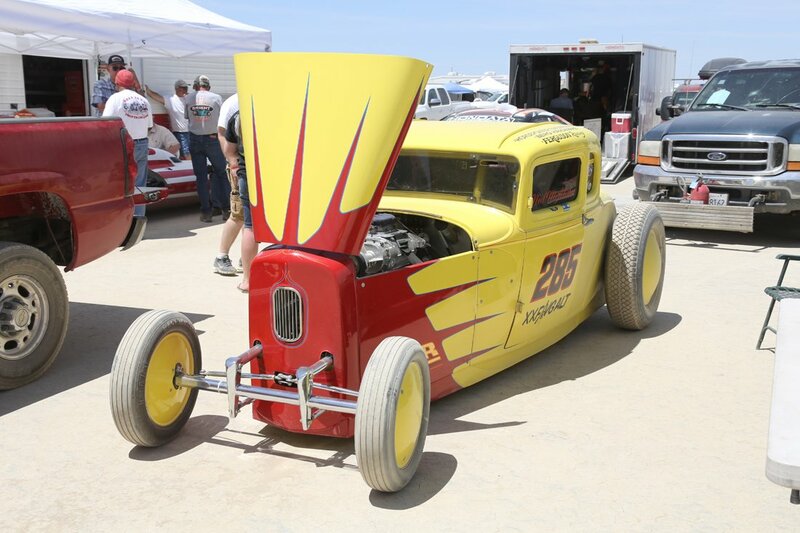 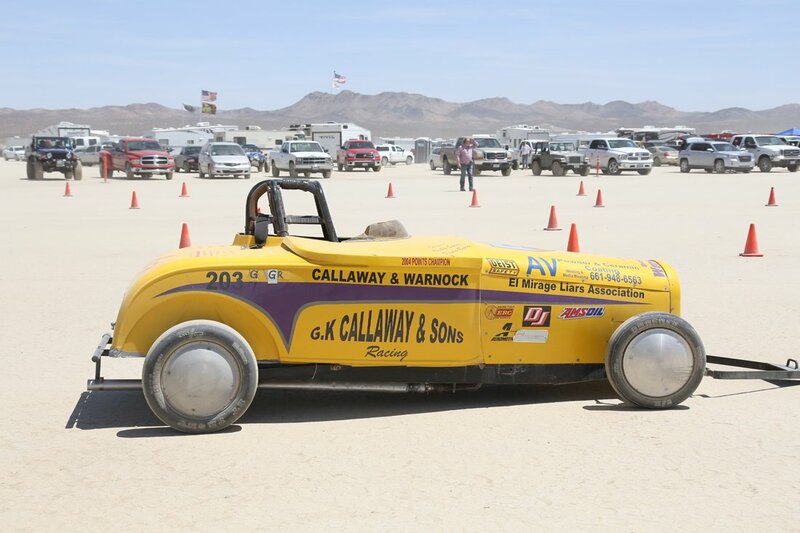 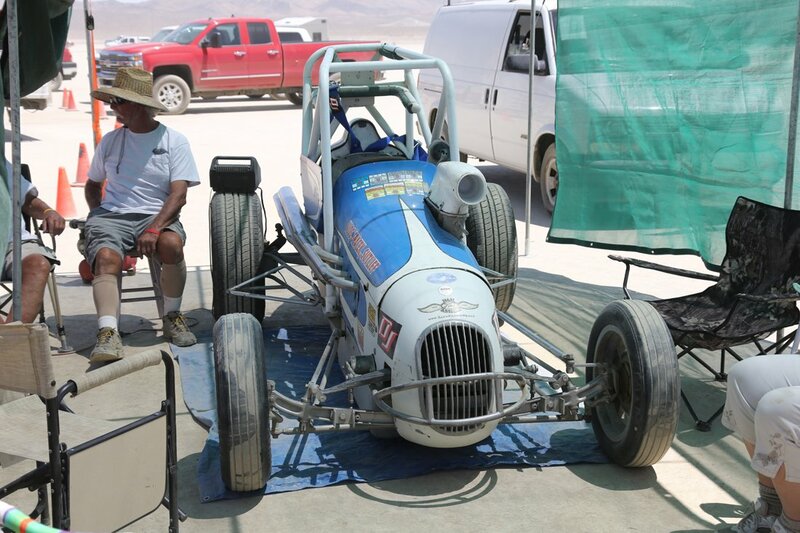 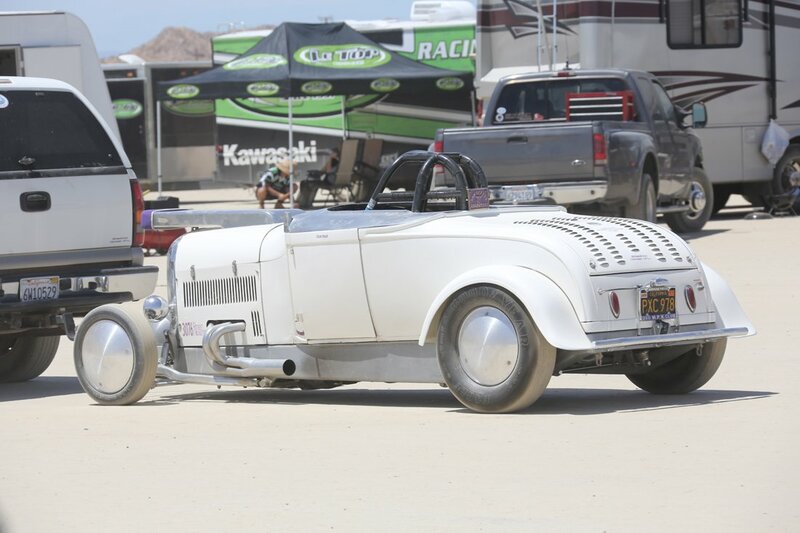 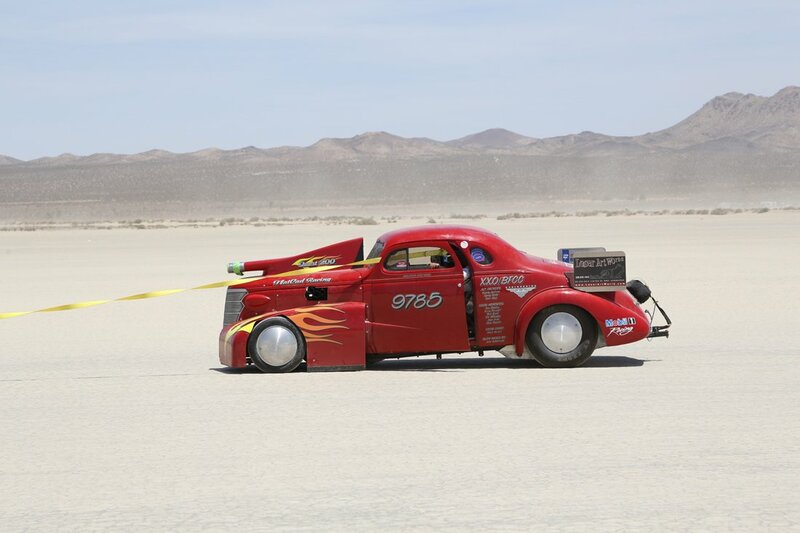 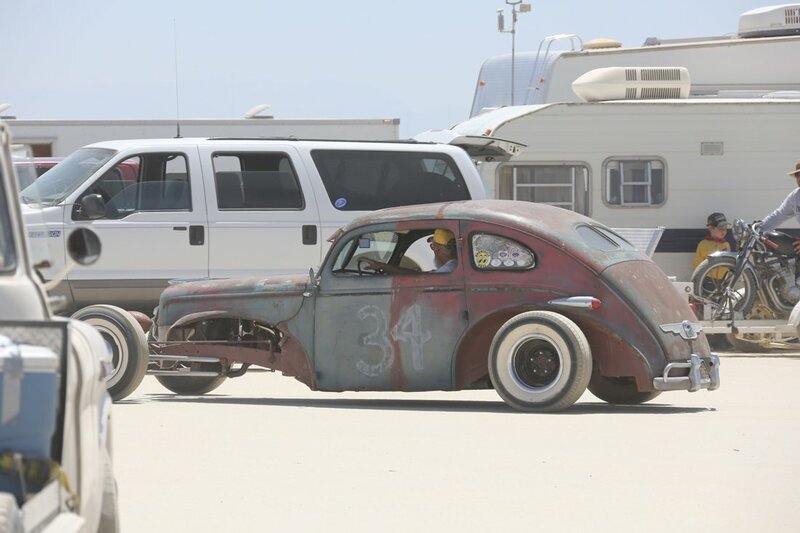 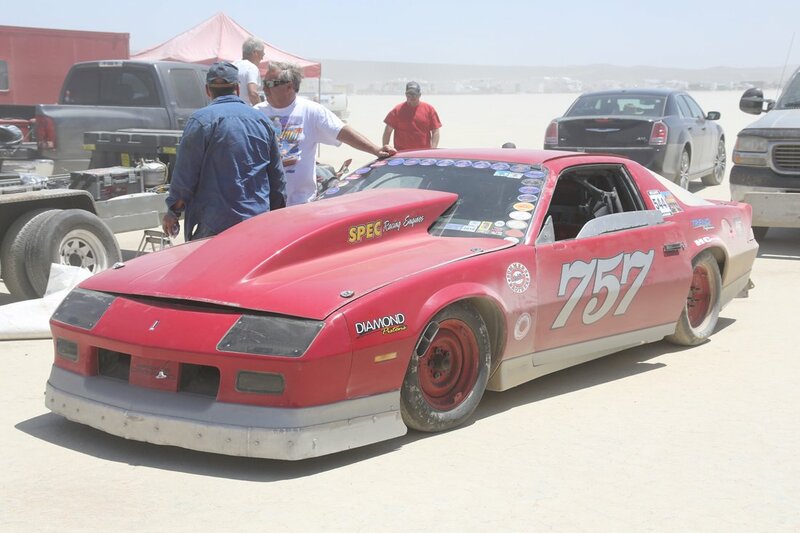 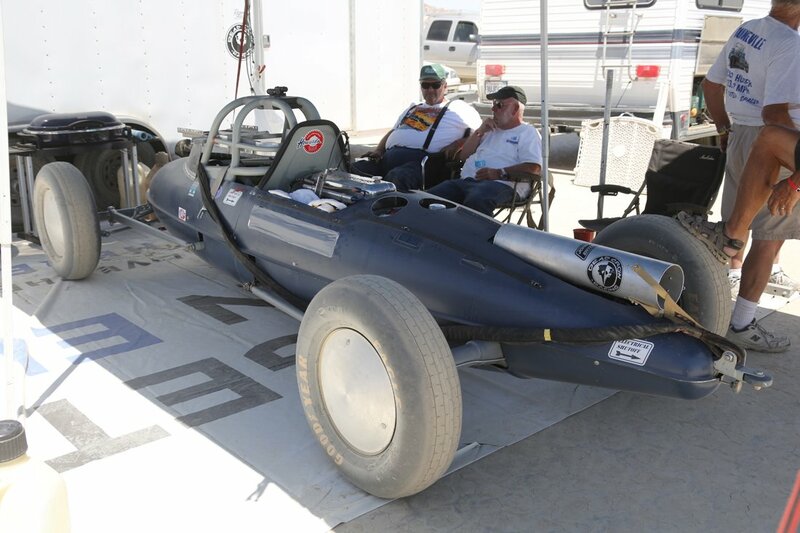 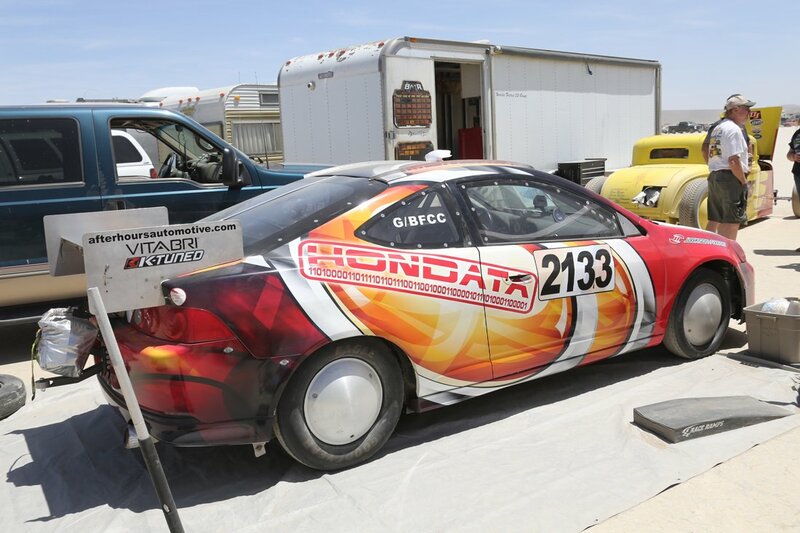 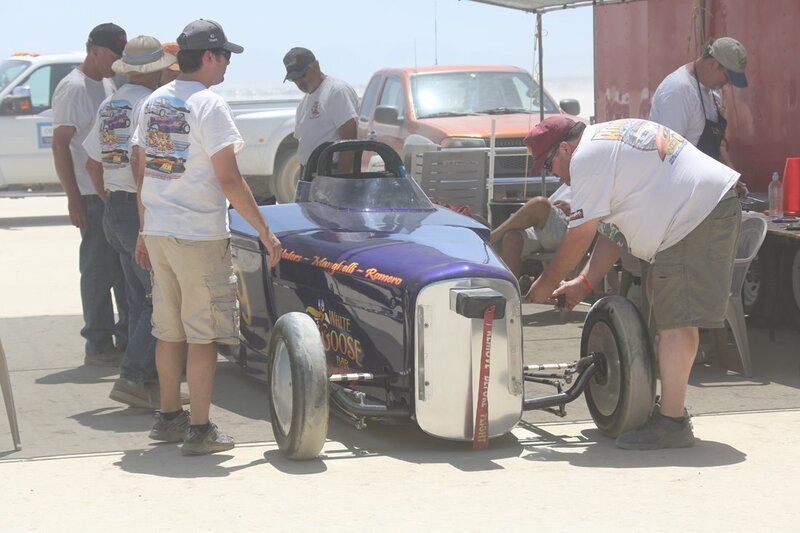 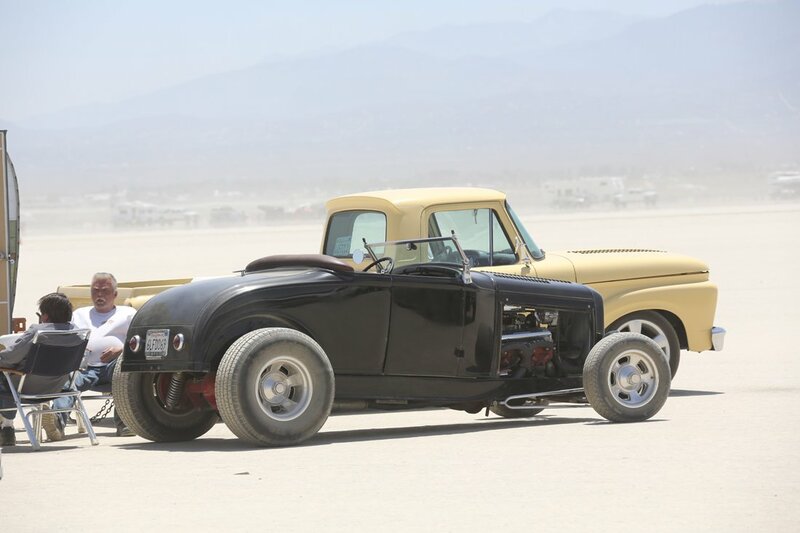 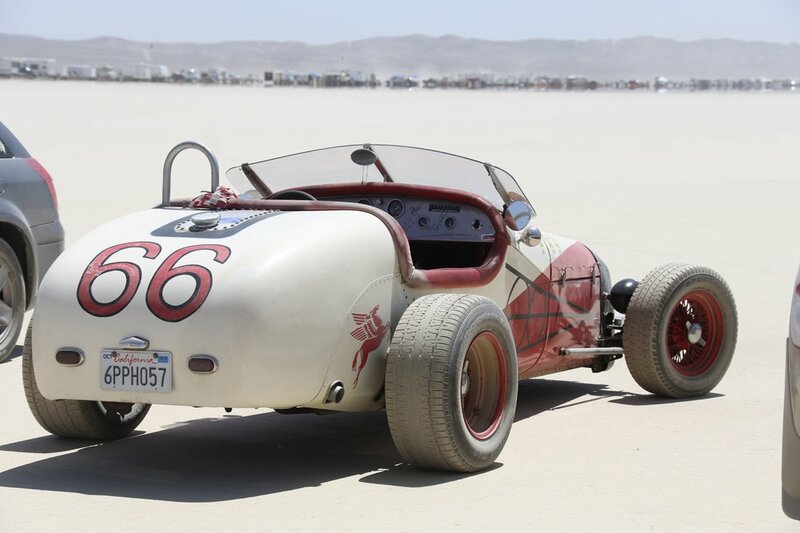 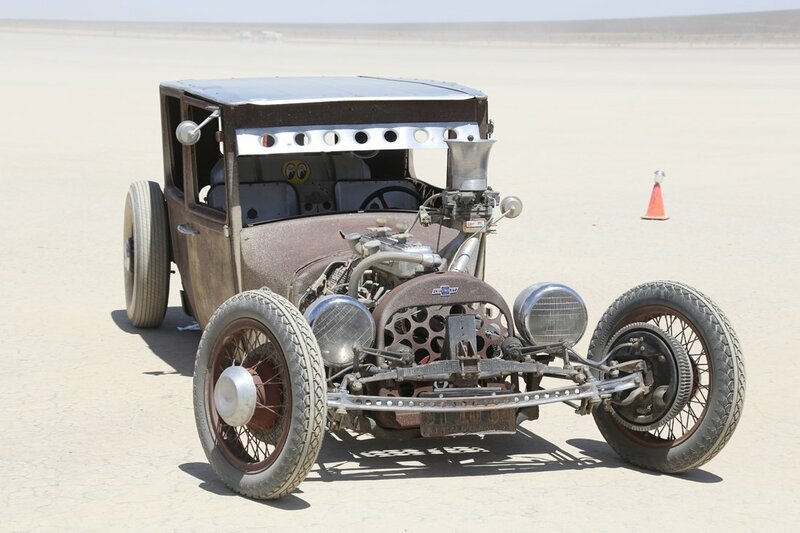 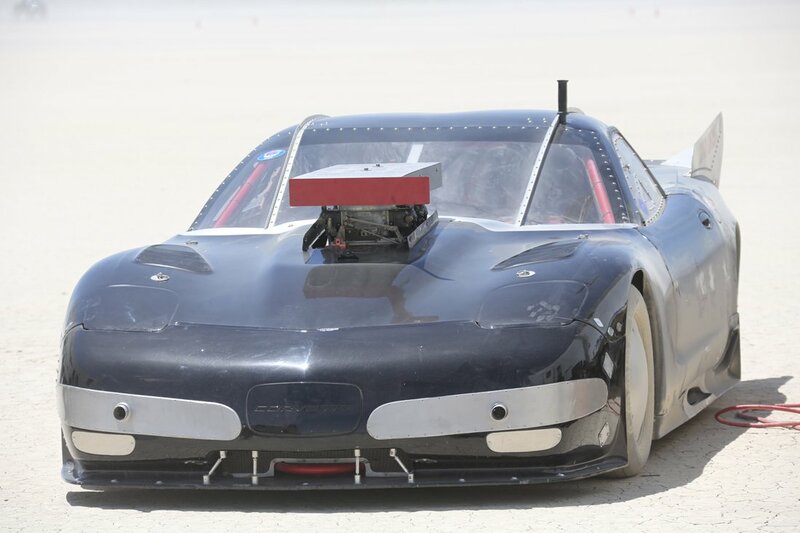 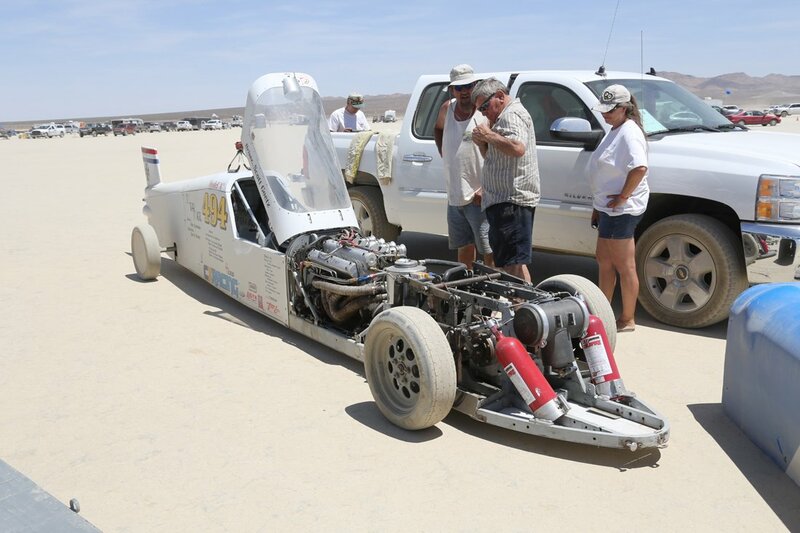 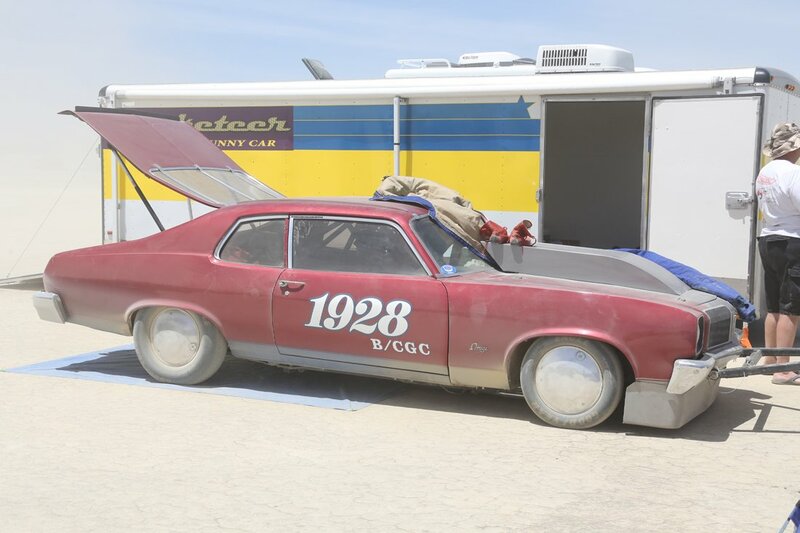 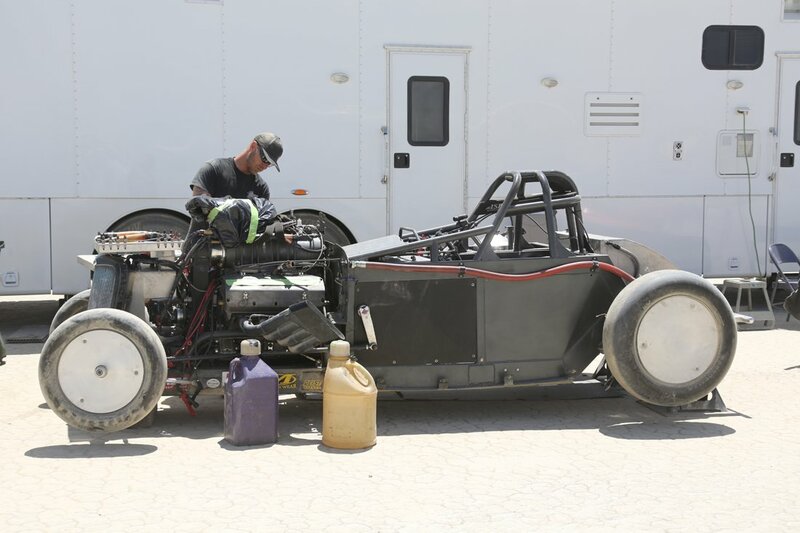 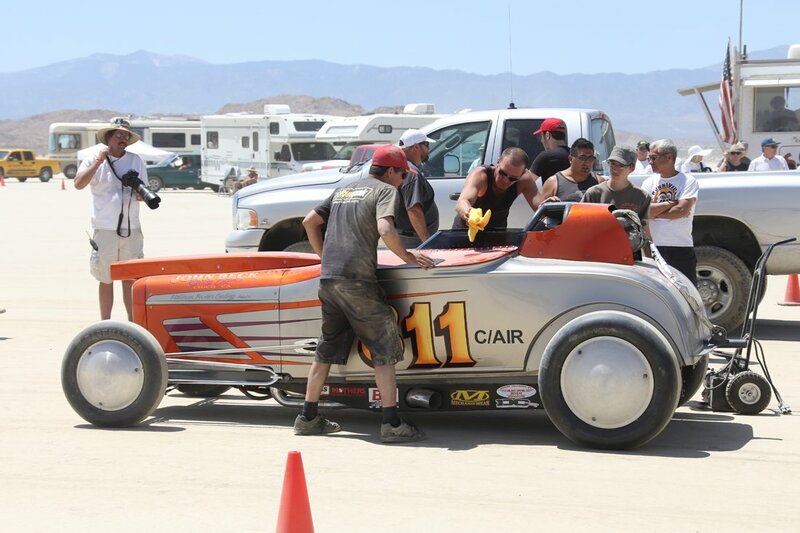 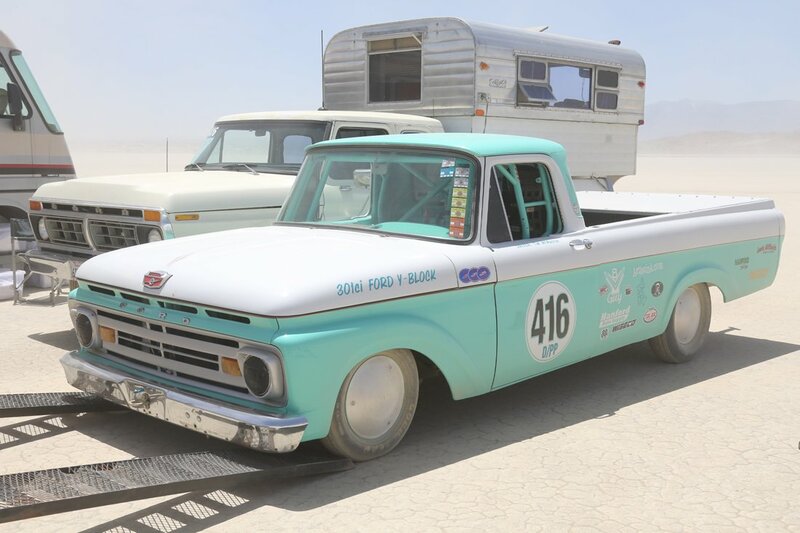 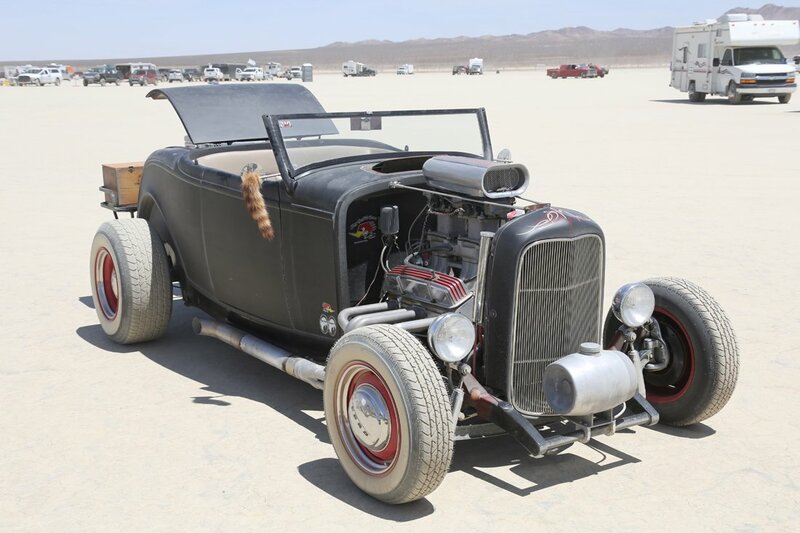 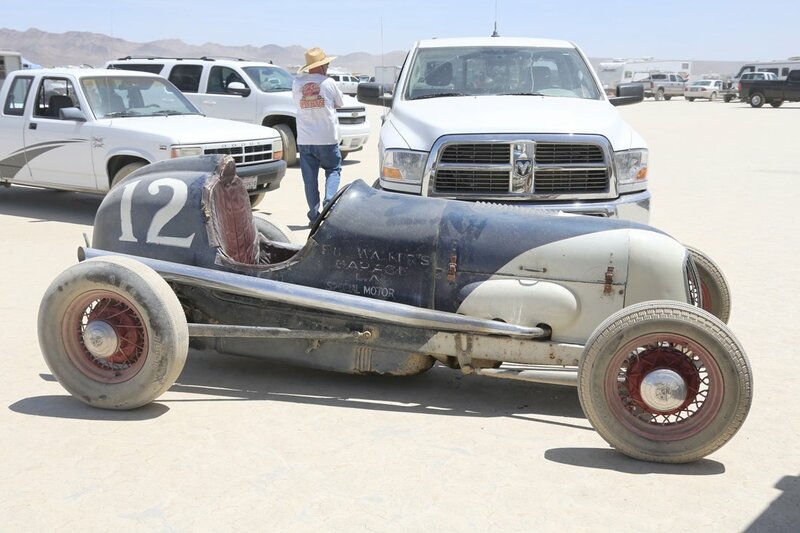 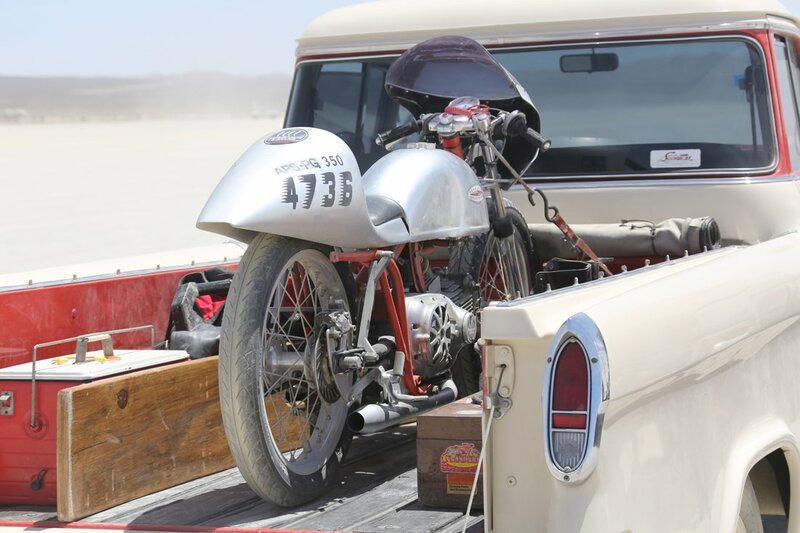 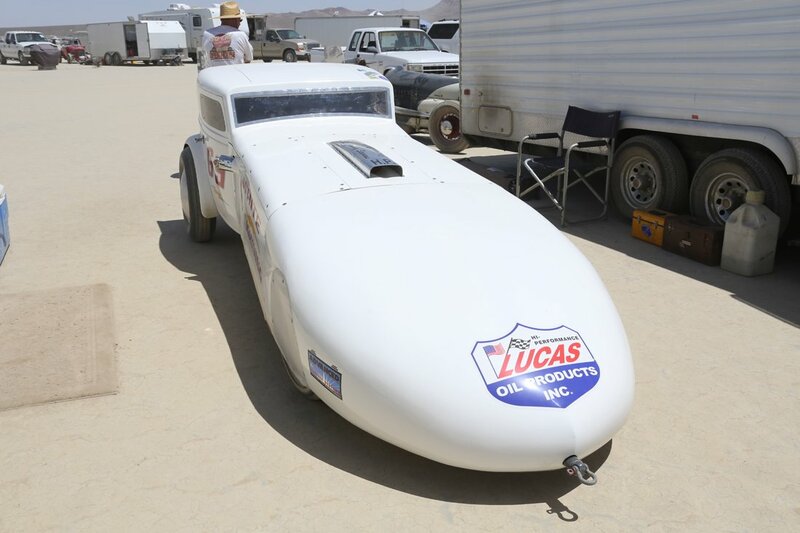 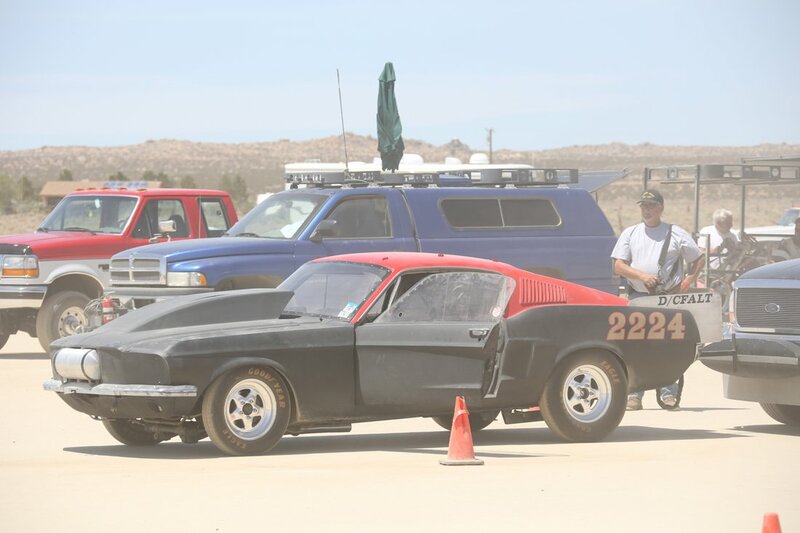 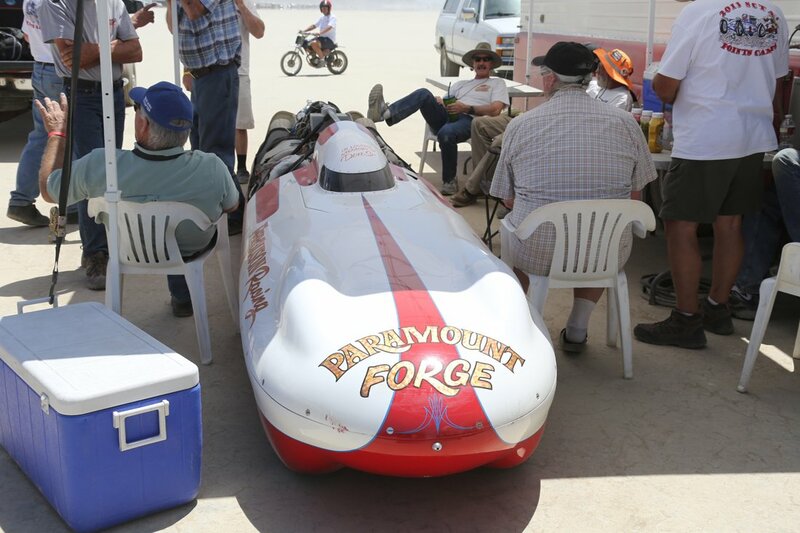 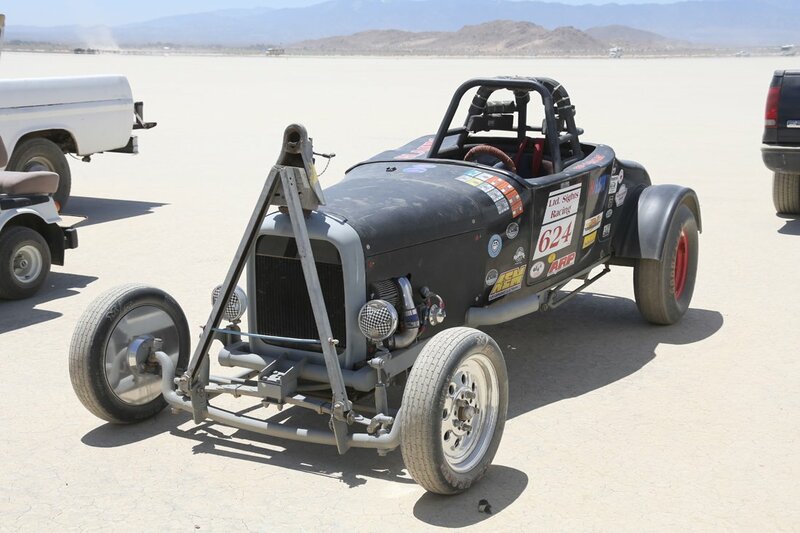 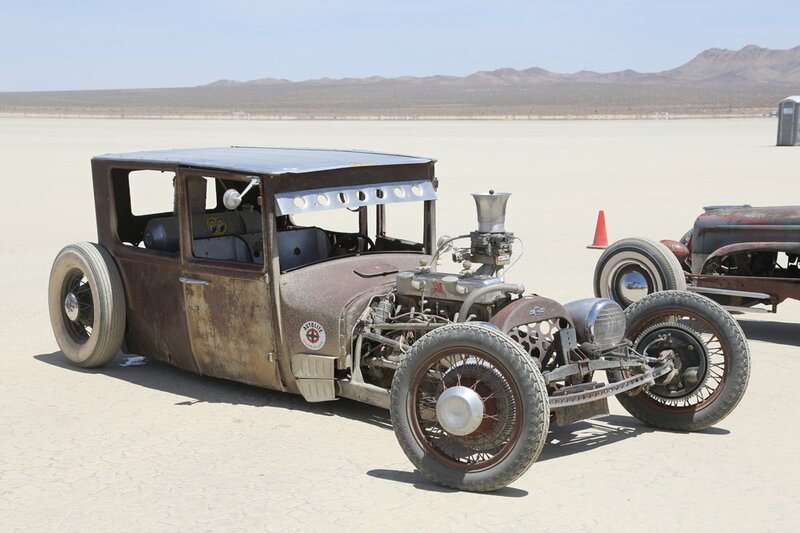 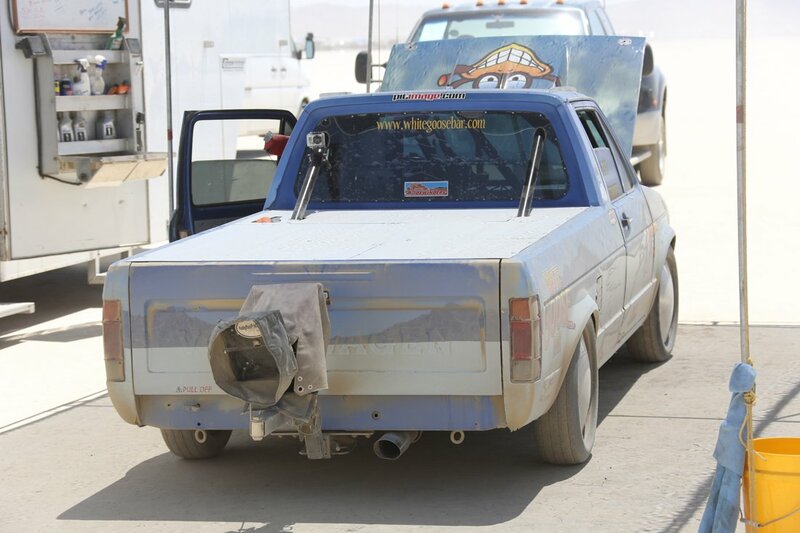 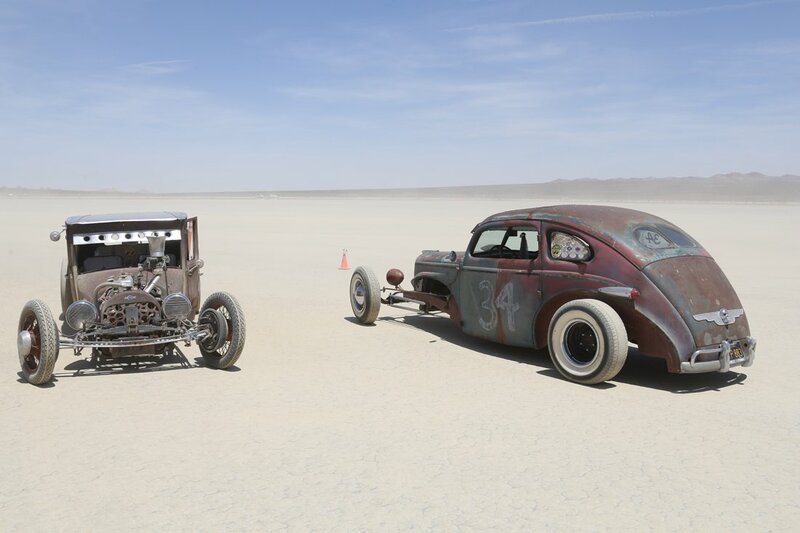 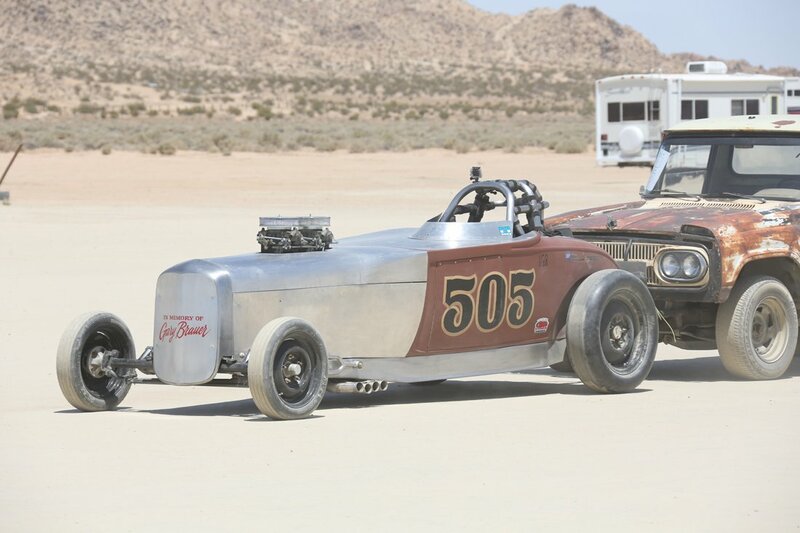 We’re back with more photos from the El Mirage dry lakebed as the SCTA held their first meet of the 2014 season just a couple of days ago. 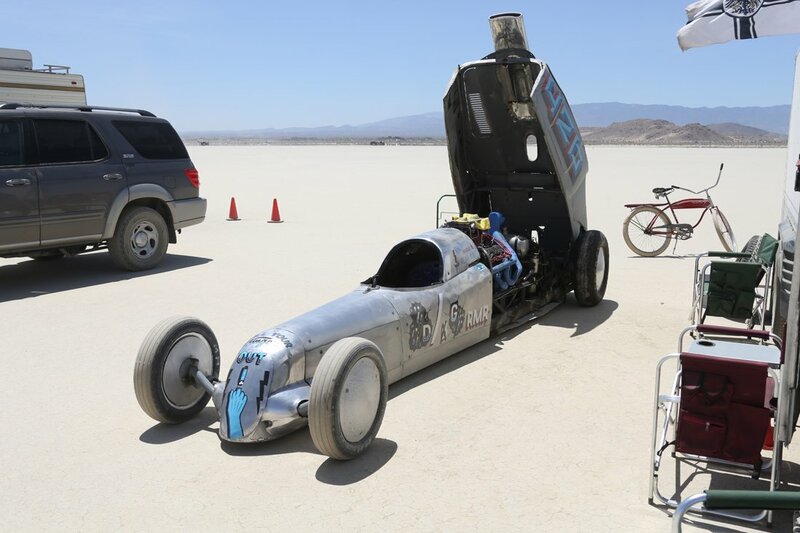 We were there on Saturday, which was a lucky break because on Sunday winds forced the premature end of the meet. 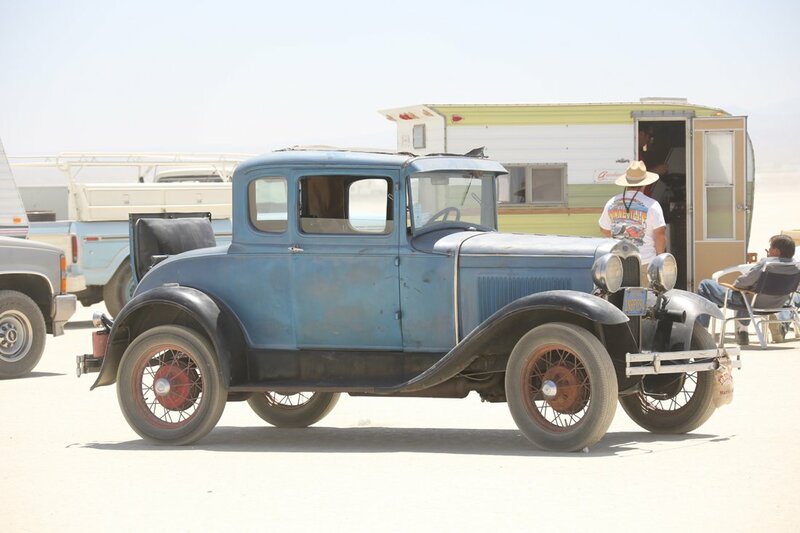 While there we saw some cool runs and lots of really, really neat cars and trucks. 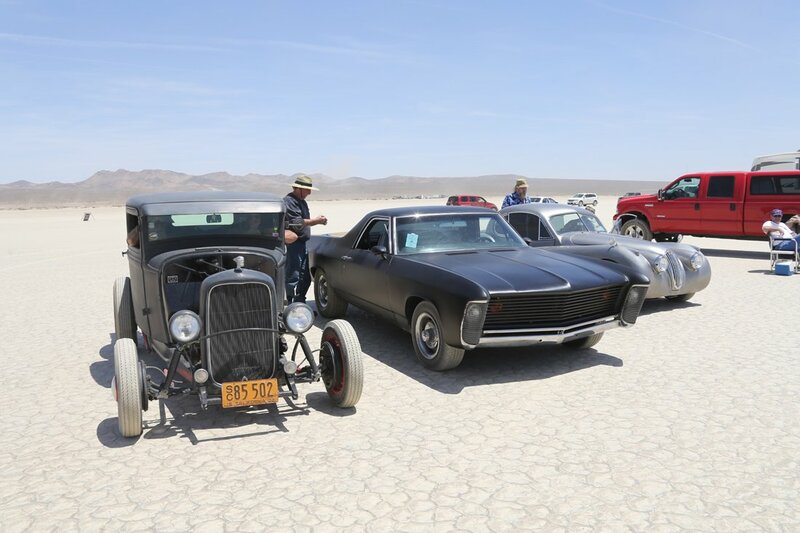 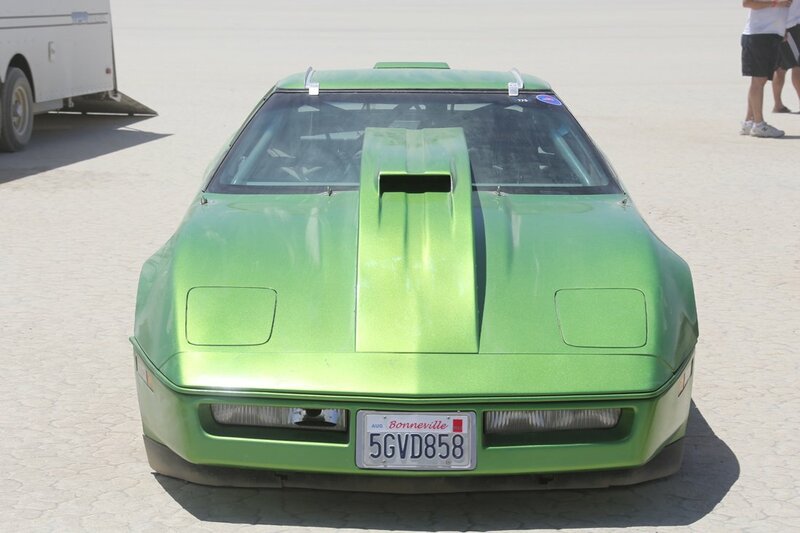 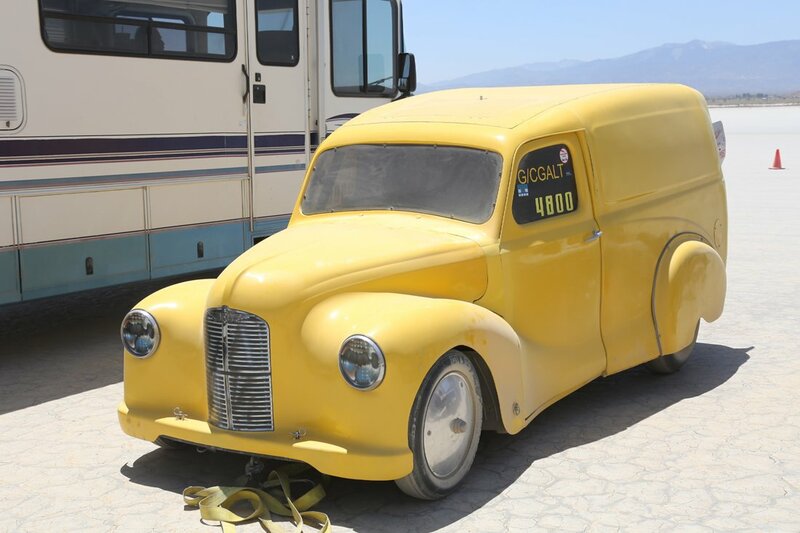 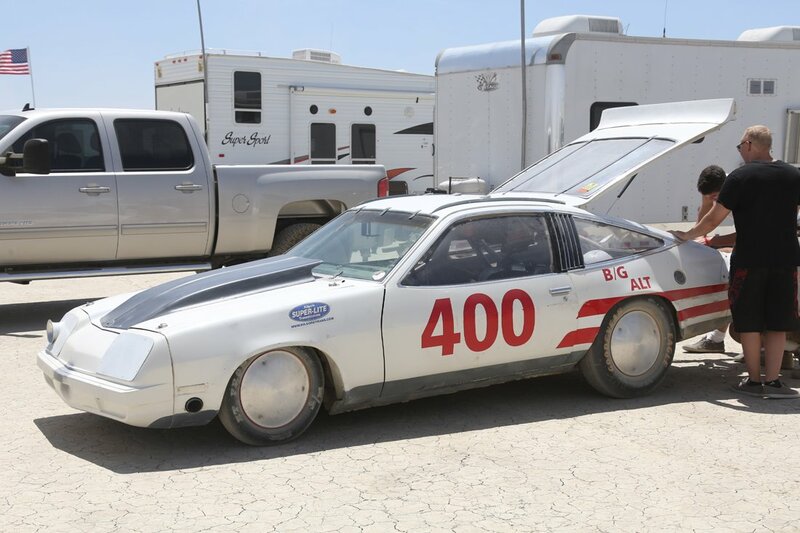 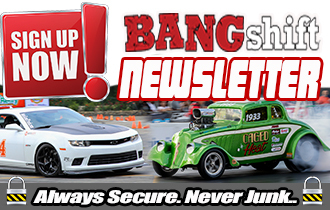 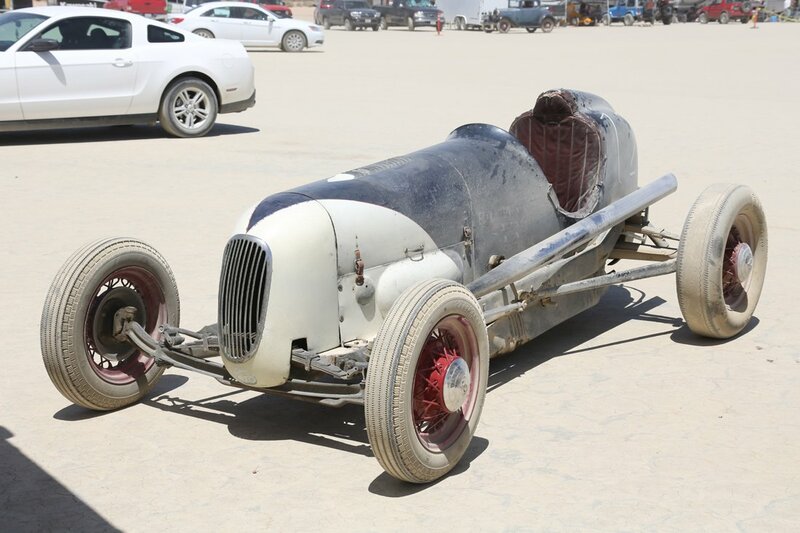 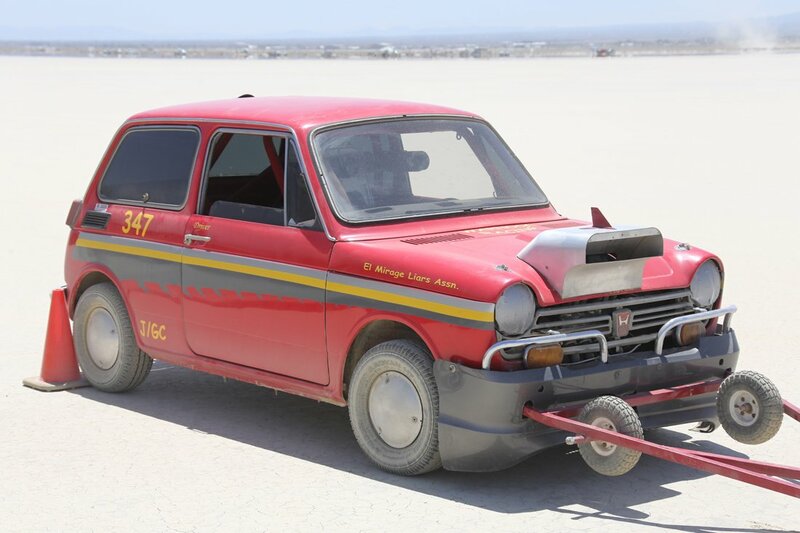 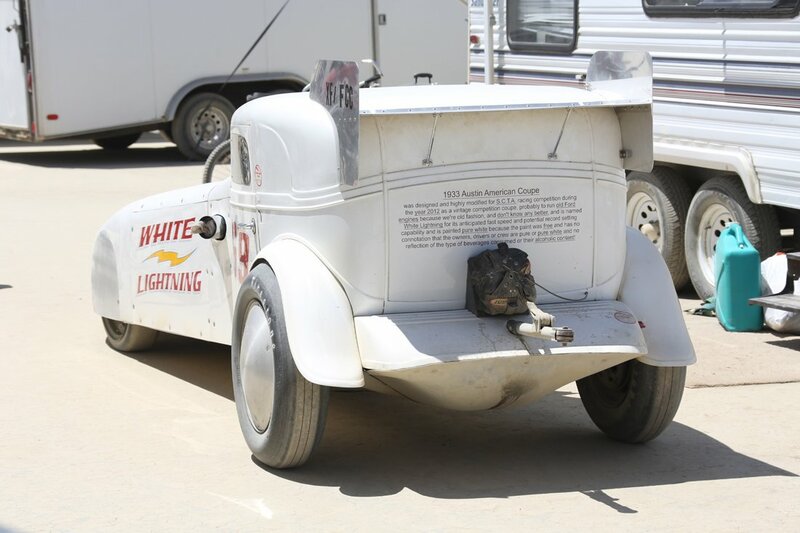 You’ll recognize some of these vehicles if you pay attention BangShift’s yearly Bonneville coverage because several of the “usual suspects” at Bonneville are SCTA regulars that also run at El Mirage with the club. 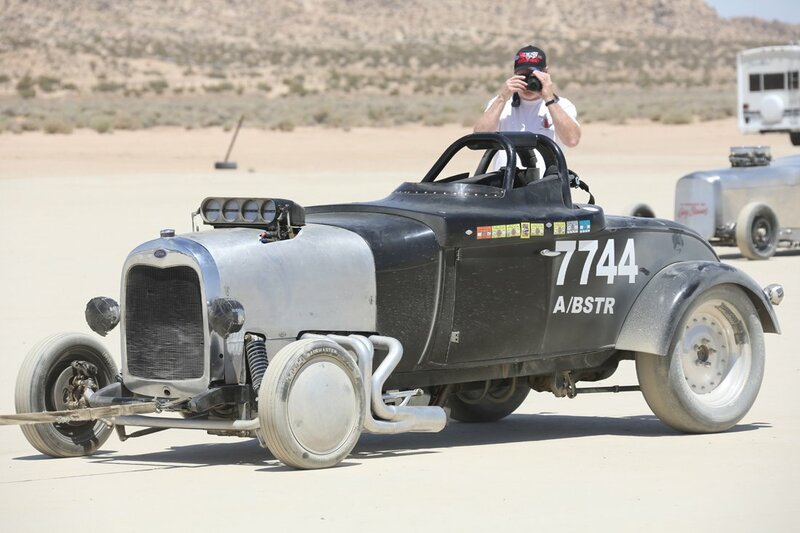 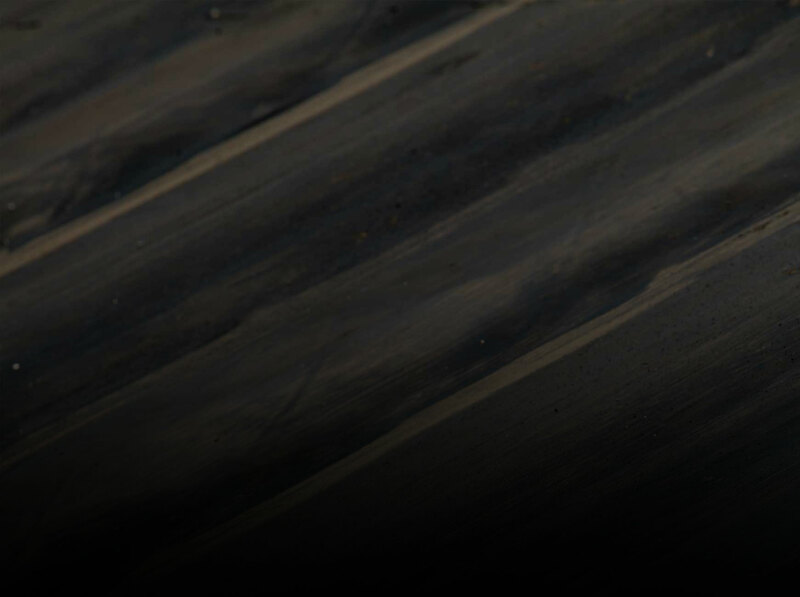 We love land speed racing here and this gallery is visual proof of why we love it. 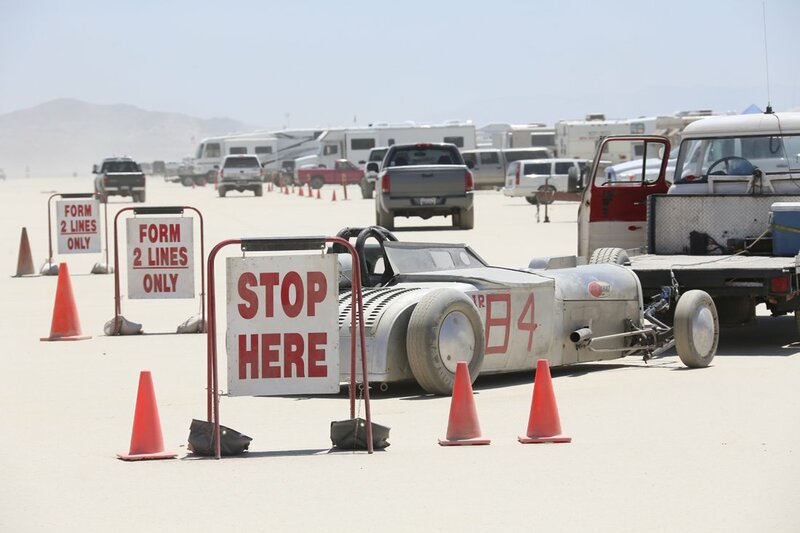 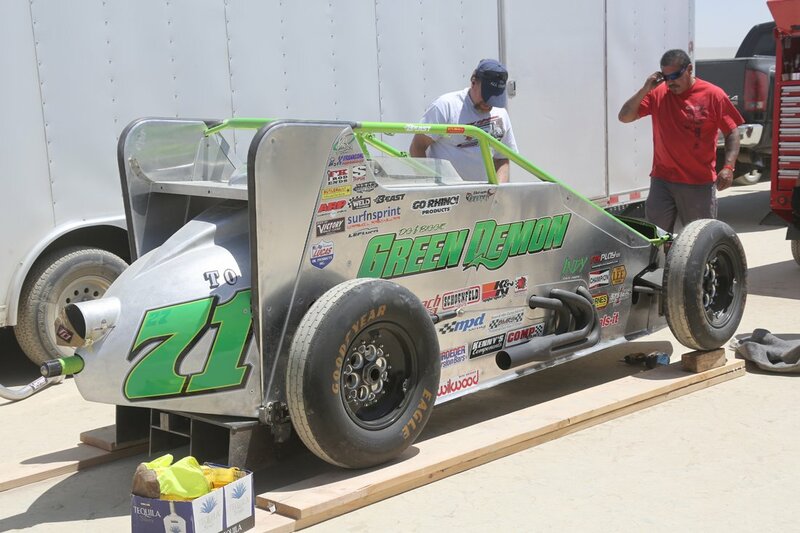 Creativity, no bowing to convention, and the ability to dream up and build whatever the hell you want as long as it conforms to the class rules and safety regulations mean that land speed competition is the last truly open and honest form of racing left. 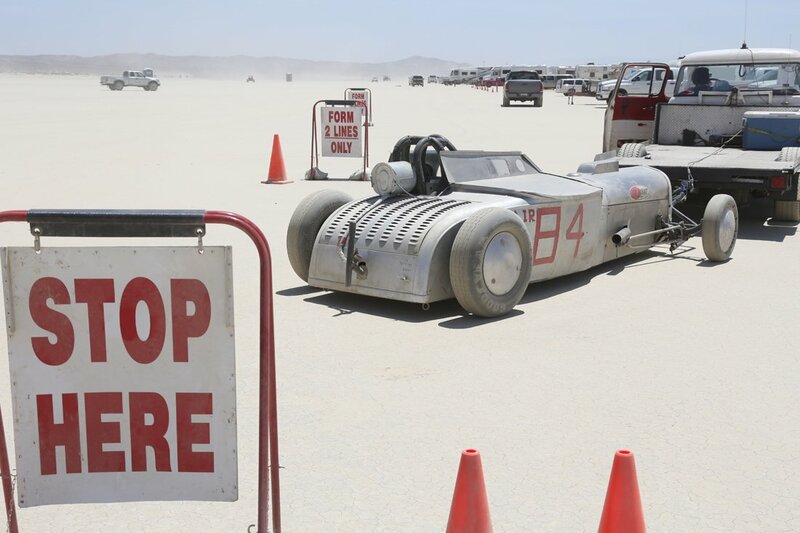 The corporate money has not invaded (and hopefully never will on a large scale) and the racers do it for the same reason their racing forefathers did it 100+ years ago. 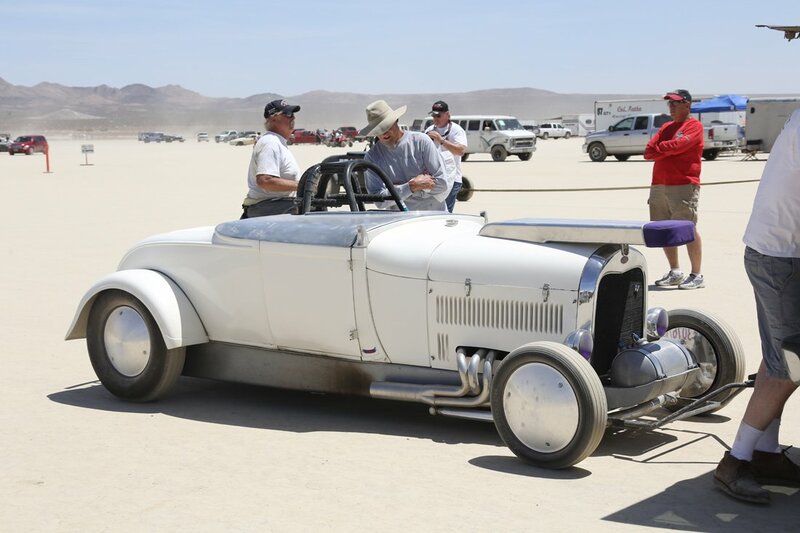 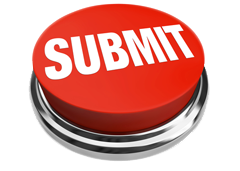 For the challenge and the personal satisfaction of going fast in a machine of their own design and creation. 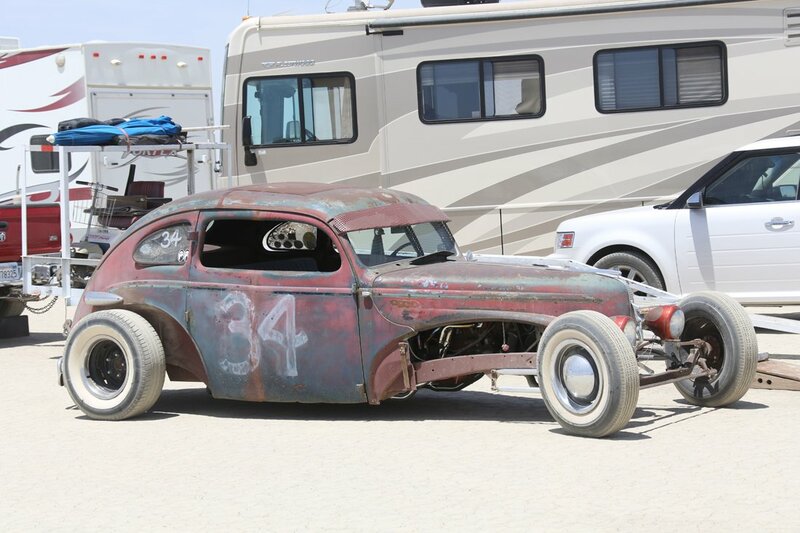 Here's To You, Mr. Persistence - Now Go Buy A Real Car Watch This 1955 Chevy Suffer A Bad Top End Crash At Pacific Raceway - What Happened? 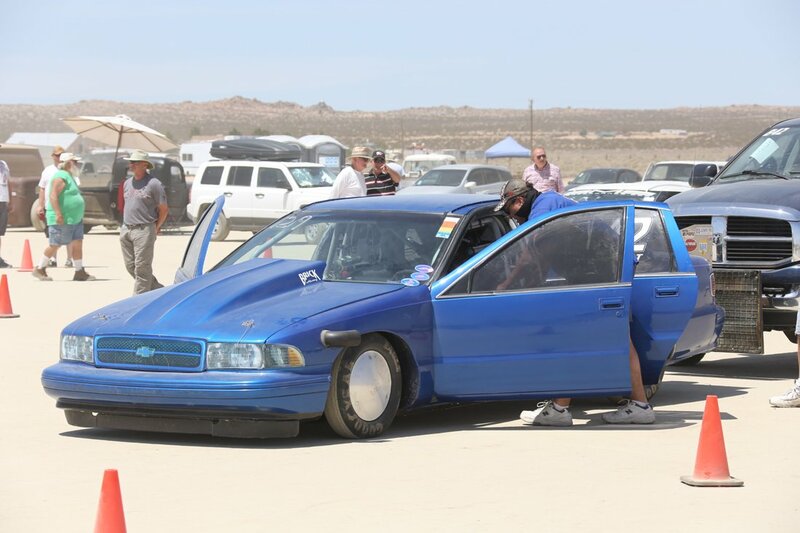 What the story behind that Caprice in the lead photo? 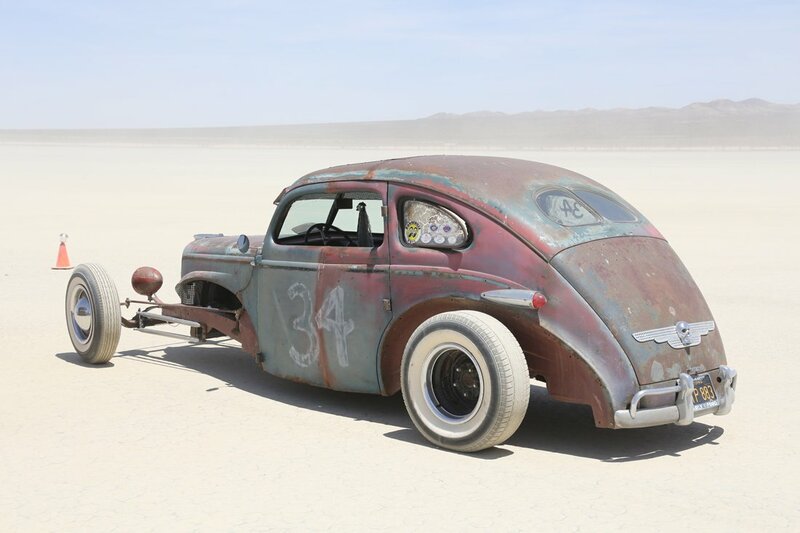 What did it run?